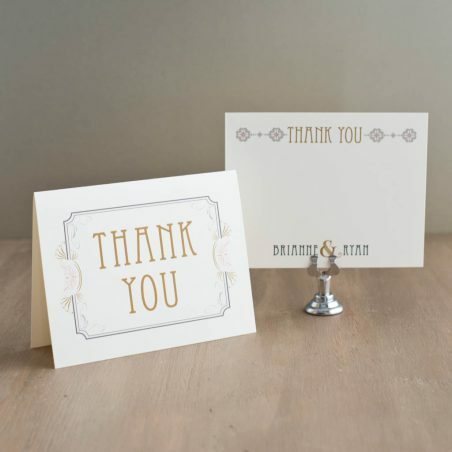 Let your guests know how much you appreciate them! 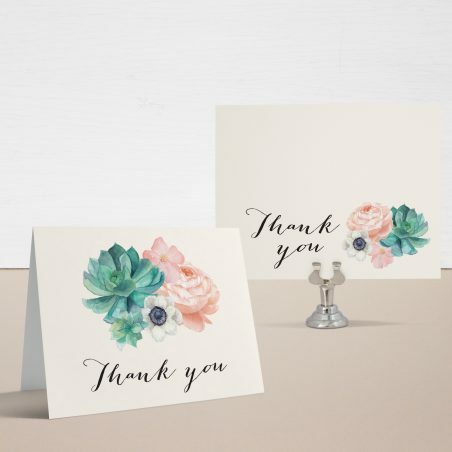 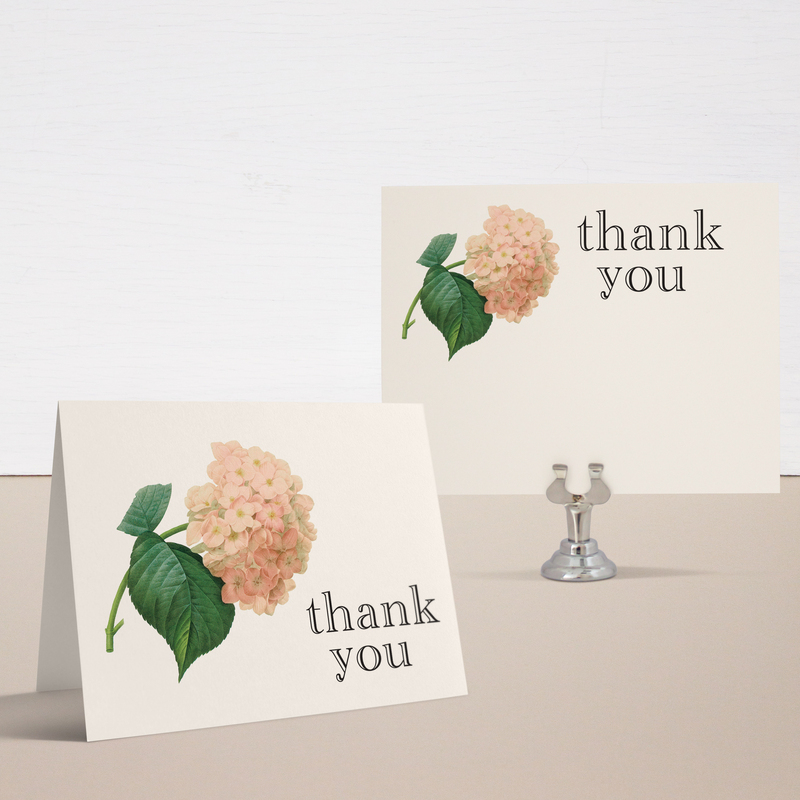 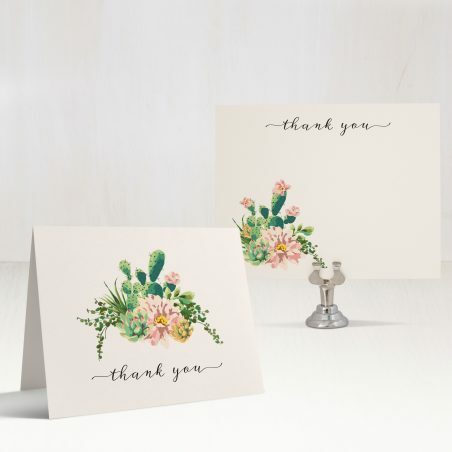 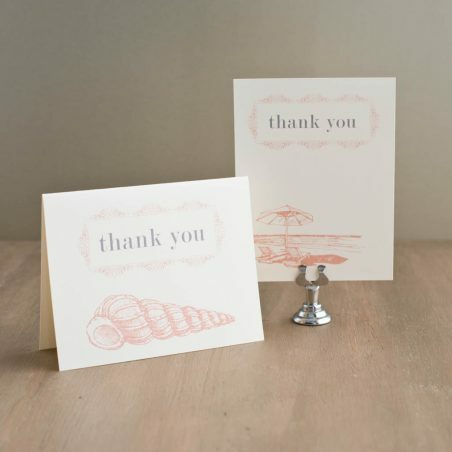 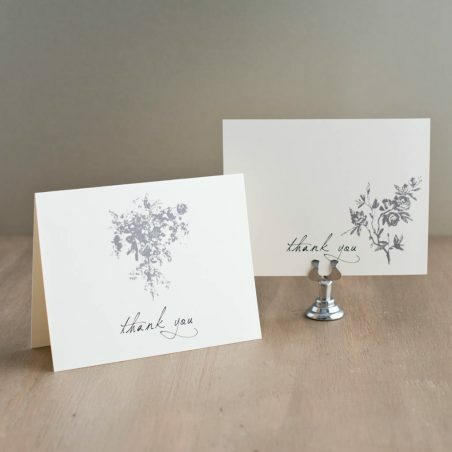 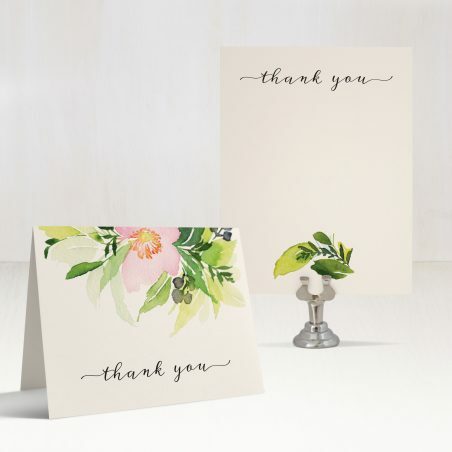 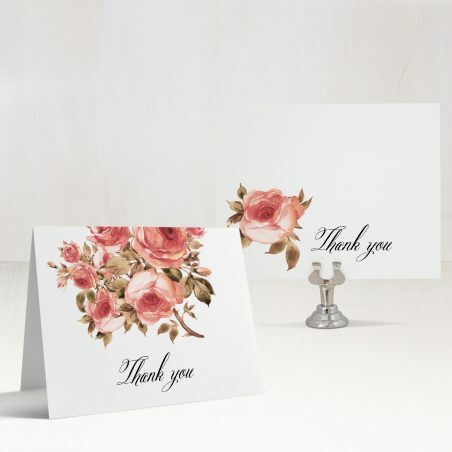 Matching thank you cards correspond to all our wedding invitation designs. 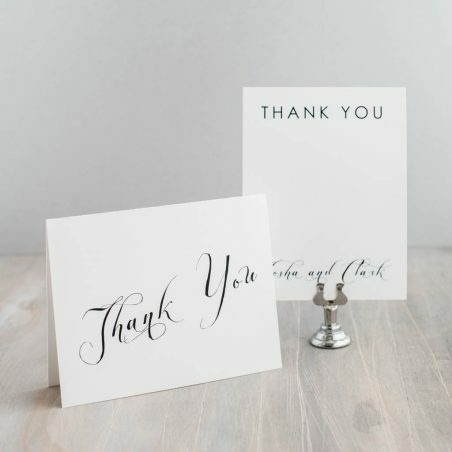 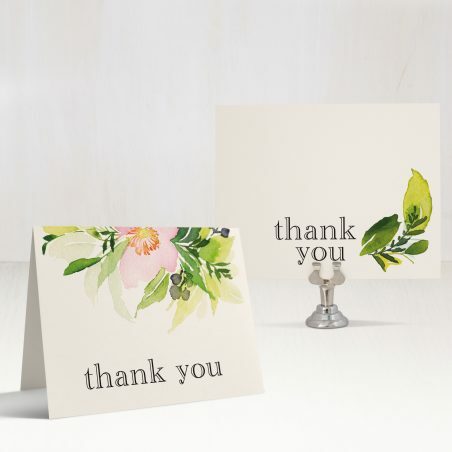 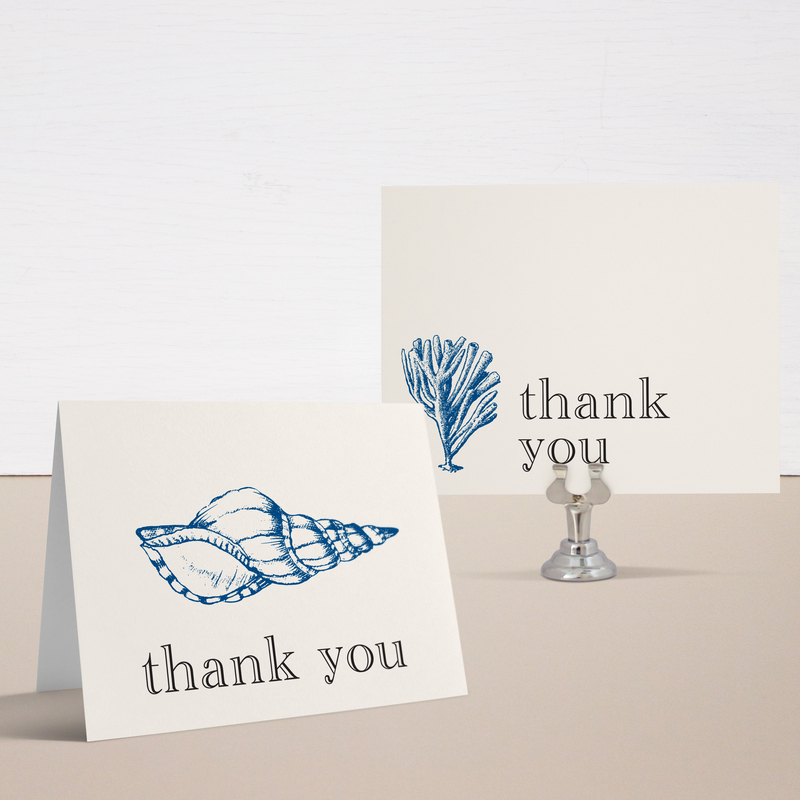 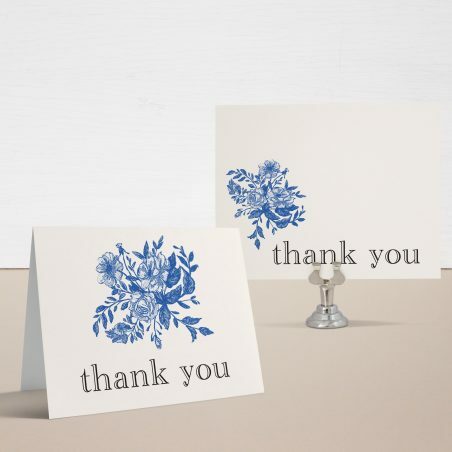 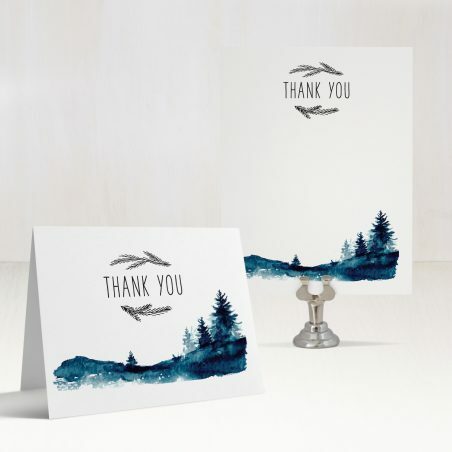 Make these thank you cards your own by customizing with your colors and fonts of choice. 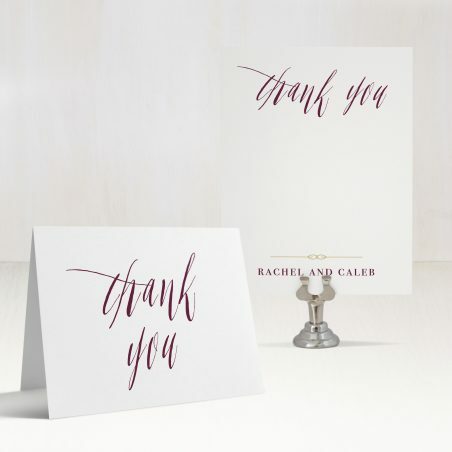 Each design is available in folded or flat style cards. Envelopes included with optional return and guest addressing available to add on.